Minecraft is a great game that has taken the world by storm, and the only video game in history that has made its creator a billionaire. It has sold more than 122 million copies, making it the best-selling PC game to date. 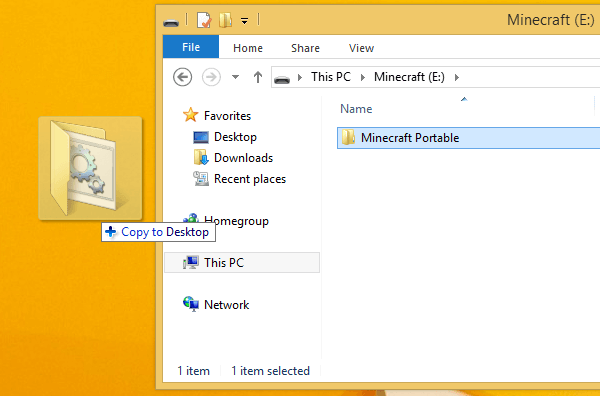 Let's see how to create a portable Minecraft installation on a USB thumb drive, to play on any PC without installation. We prepared this guide on Windows 10 Creators Update. 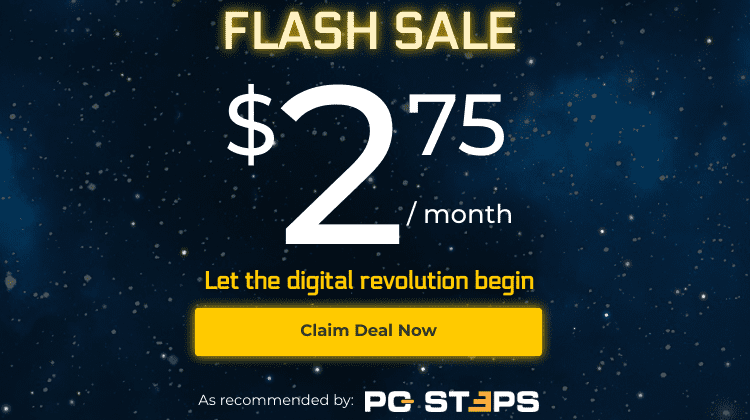 It should work on any relatively recent Windows version, Vista, 7, 8.1, and earlier editions of Windows 10. Also, we have used a bought license for Minecraft. 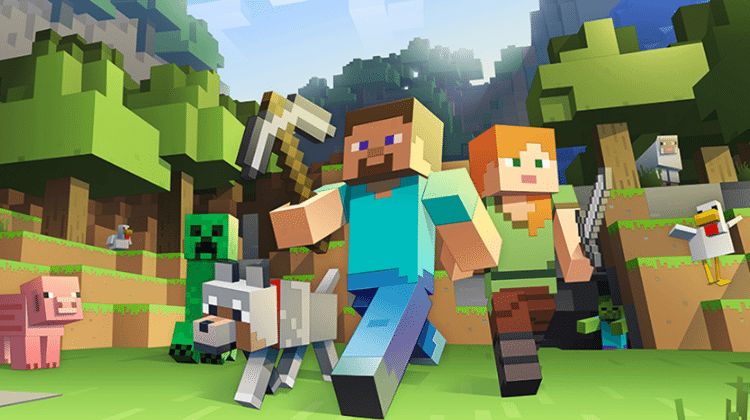 We can't guarantee that the portable Minecraft project will work with a pirated version of the game. 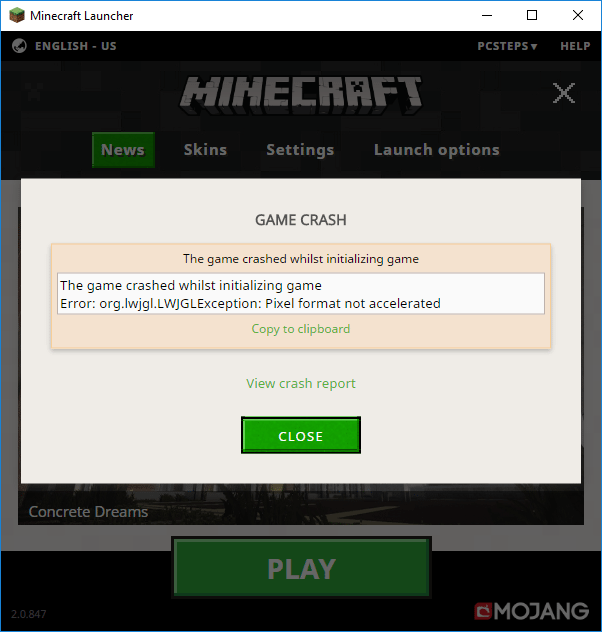 What if I already have Minecraft installed? Will you create a portable Minecraft? If we are going to play portable Minecraft straight from a USB, it's best to have a fast thumb drive. A USB 2.0 model will probably work, but we will have a much better experience if our motherboard and flash drive both support USB 3.0. 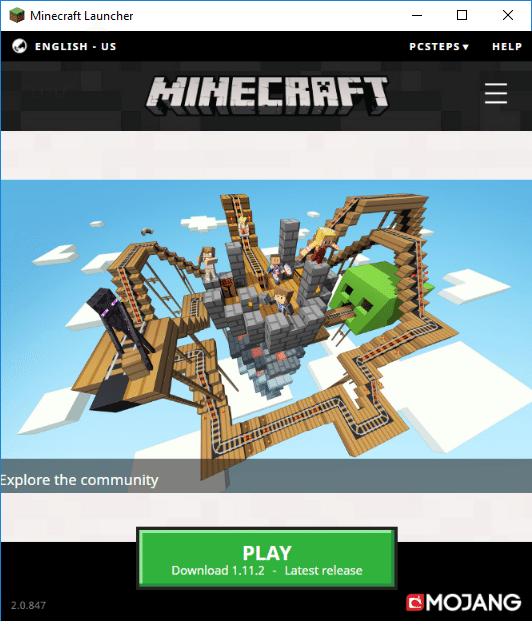 Regarding the size, a clean portable Minecraft installation is about 450MB. However, as we keep exploring the practically infinite minecraft world, the megabytes can add up fast. So, for a comfortable experience, we would recommend a USB stick of at least 8GB. For the guide, we used the 32GB Sandisk Extreme USB 3.0, which is one of the fastest USB flash drives around and comes at a great price. Most 8GB and 16GB USB drives come with a default FAT32 filesystem. Likewise, most 32GB+ thumb drives come with the exFAT filesystem. Neither is suitable to install the portable Minecraft, so we need to format the flash drive to NTFS. ...and choose NTFS on the file system drop-down menu. 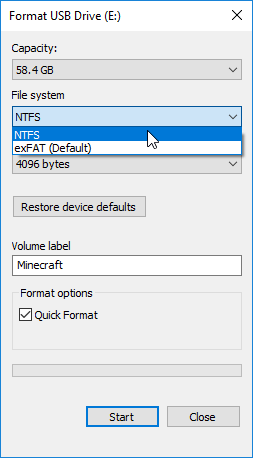 We can also change the volume label to "Minecraft", but this is optional, and it won't make a difference for portable Minecraft. Formatting the drive will delete any files we might have on it. So make sure to have copies of anything important on a separate disk. On the now empty thumb drive, we must create a folder with a name of our choice, e.g. "Minecraft Portable". 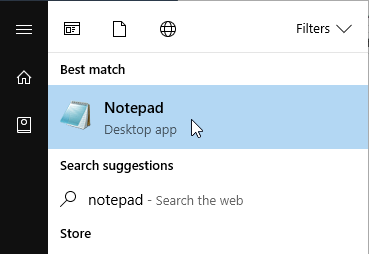 Inside, we need to create two folders "bin" and "data". 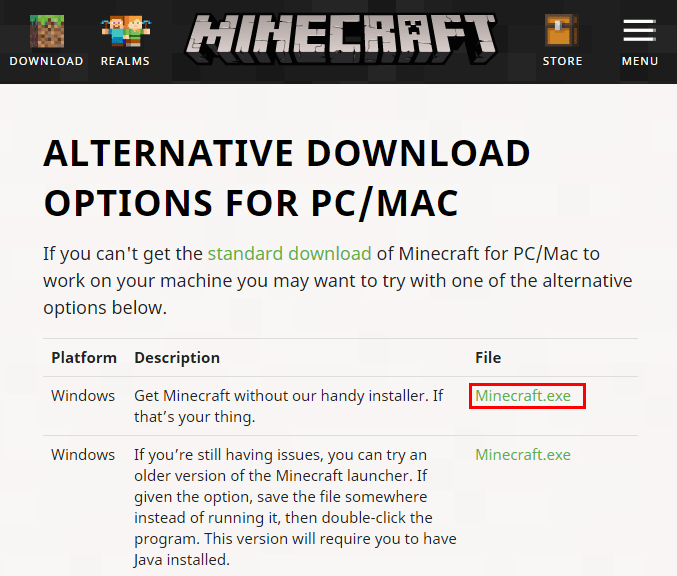 We need to visit https://minecraft.net/download/alternative and get the first minecraft.exe file. Once it downloads, we move it or copy it to the bin folder. with a full stop "." at the beginning and the end. 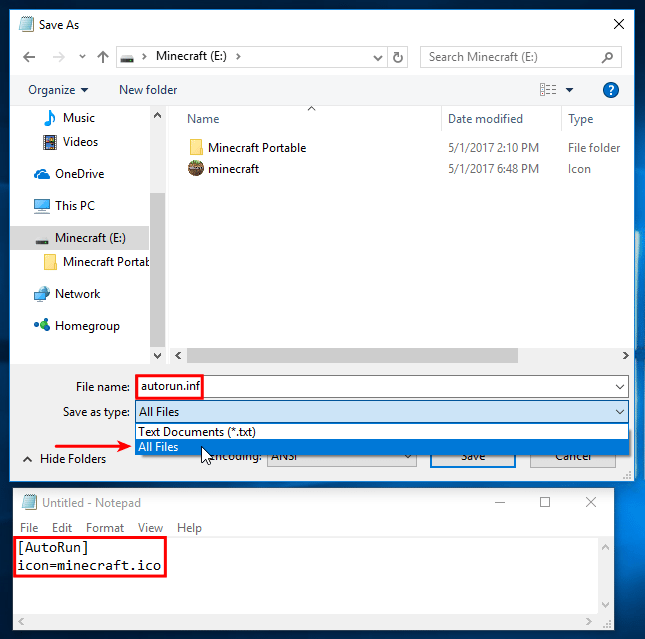 This is important because Portable Minecraft needs a ".minecraft" folder, but Windows won't let us create a filename that starts with a full stop. By adding a second full stop at the end, Windows will automatically remove it, and we will get the correct filename. If we already had Minecraft installed, it's simple to convert it to portable Minecraft. We still format the flash drive to NTFS, create the directories on the USB and download Minecraft.exe. 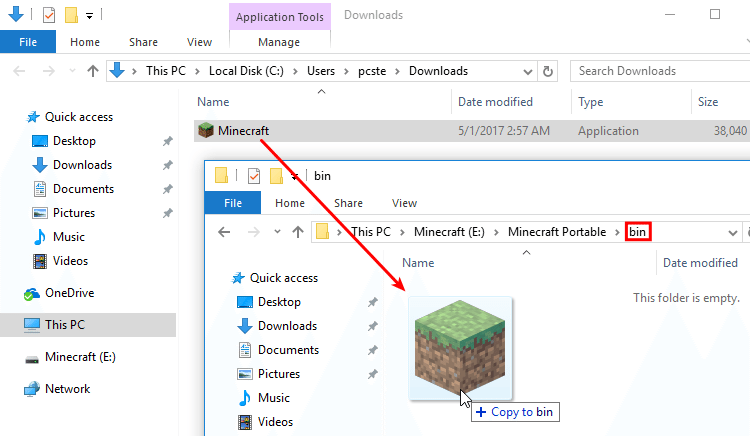 The main difference is that we copy the existing .minecraft folder from the disk to the USB, instead of creating a new one. Depending on how many applications we have installed, AppData might have multiple folders. The .Minecraft folder, however, will always be the first, alphabetically. Having found the folder, we just copy it to the data folder on the thumb drive. 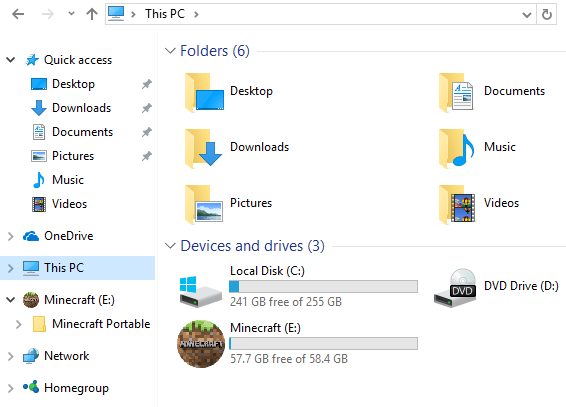 If we were playing Minecraft for a while and there is a lot of data in the .minecraft folder, the copying could take a while, depending on our thumb drive's speed. Finally, we need to create a batch file to start Minecraft. This batch file will tell the Minecraft executable to use the folders on the USB, and not the HDD. 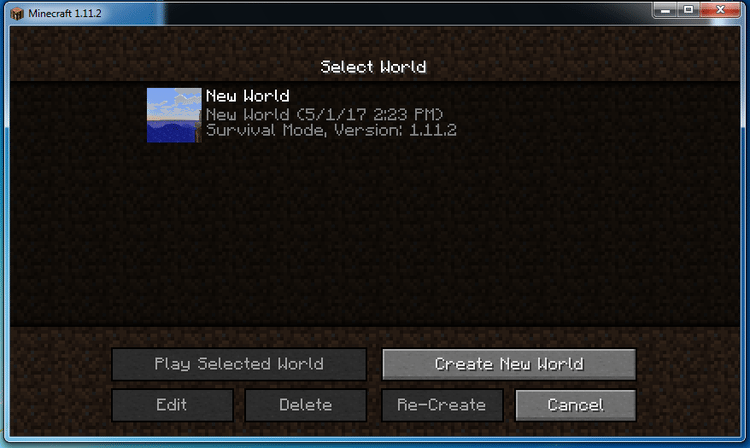 The first of this commands points to the Minecraft executable on the thumb drive. 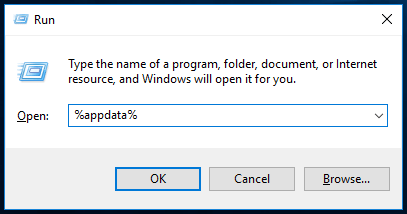 The second --workdir command orders the executable to use the .minecraft folder we created inside the "data" folder on the USB flash file. 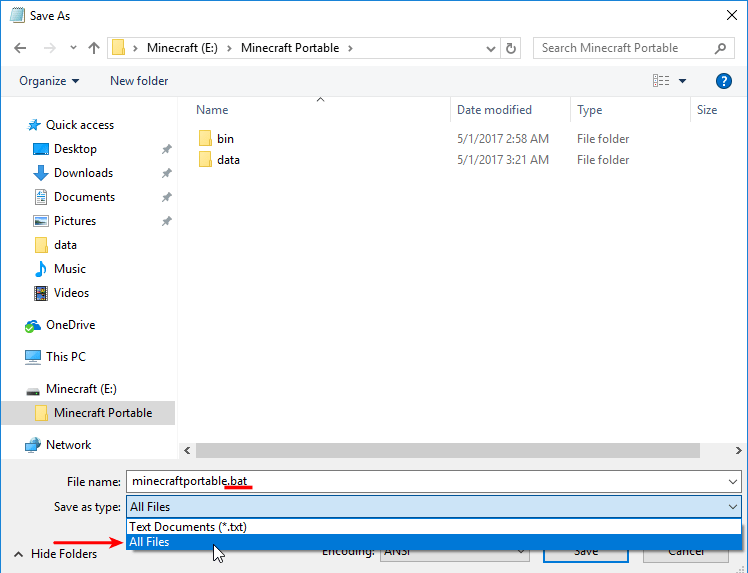 Afterwards, we save the file within the Minecraft Portable folder, along with the bin and data folders. 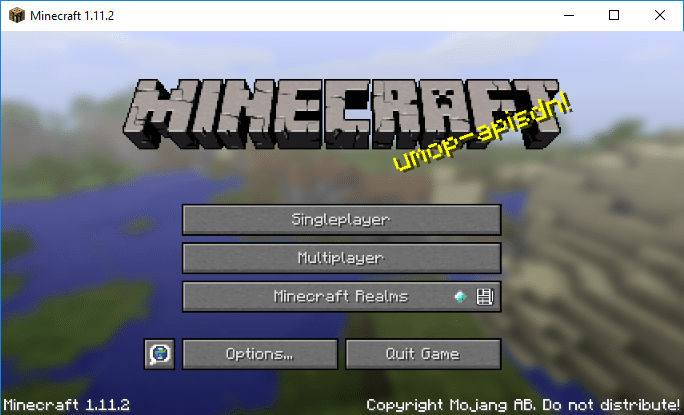 We can give it a name of our choice, such as "portable Minecraft", or "Minecraft portable", or "launcher". It is important that it has the ".bat" extension, and we have selected "All Files" in the "Save as type". If we do it correctly, the system will recognise it as a Windows Batch File. This is the file we will run to start the portable Minecraft. The first time we start portable Minecraft, the PC needs to have internet access. It will download the runtime. 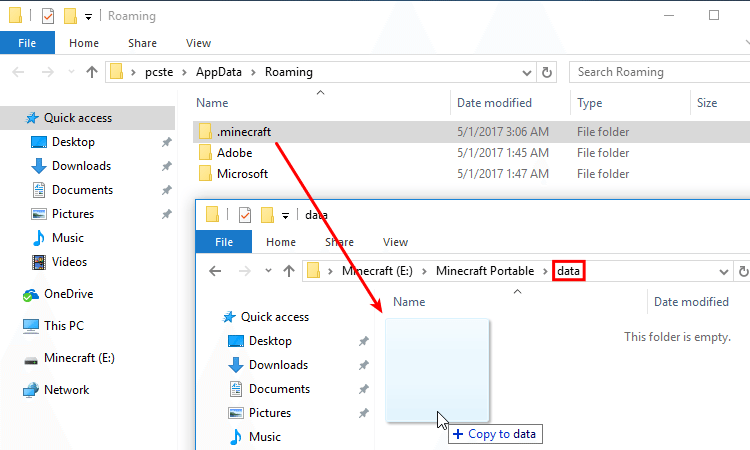 Notice that both the Minecraft executable file and the work directory point on our flash drive, which in the example is (E:). ...and finally prompt for our Minecraft account credentials. 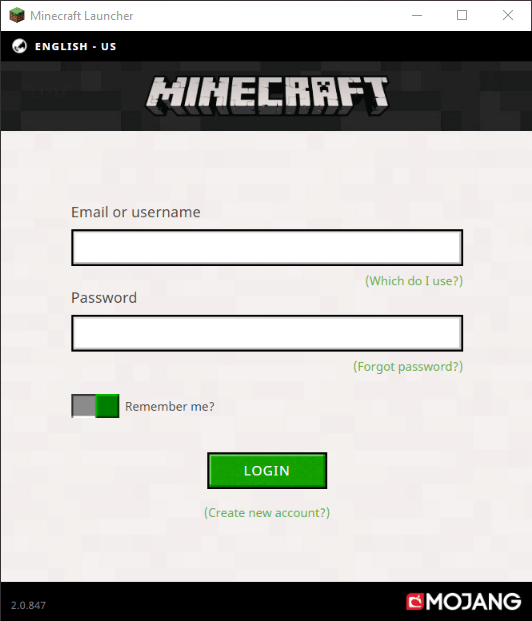 We log in with our Mojang email or username and password, as usual. Finally, we click on Play to start the game. ...and a couple of minutes later, we are on the main menu. With a good enough USB flash drive, it will be the same as if we played off of the HDD. 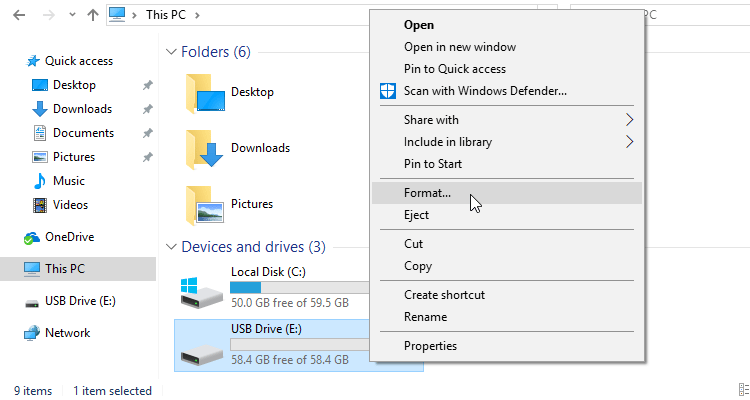 Since we run the program once, we can now play offline on any PC with the same version of Windows, no matter which drive letter the USB flash gets, e.g. M: for Minecraft. It won't even ask for the account credentials anymore; the one time was enough. Provided, of course, that the PC can run Minecraft in the first place. Just remember, before pulling out the USB, to do a proper ejection. We don't want to risk having any data corruption on our worlds and saved games. 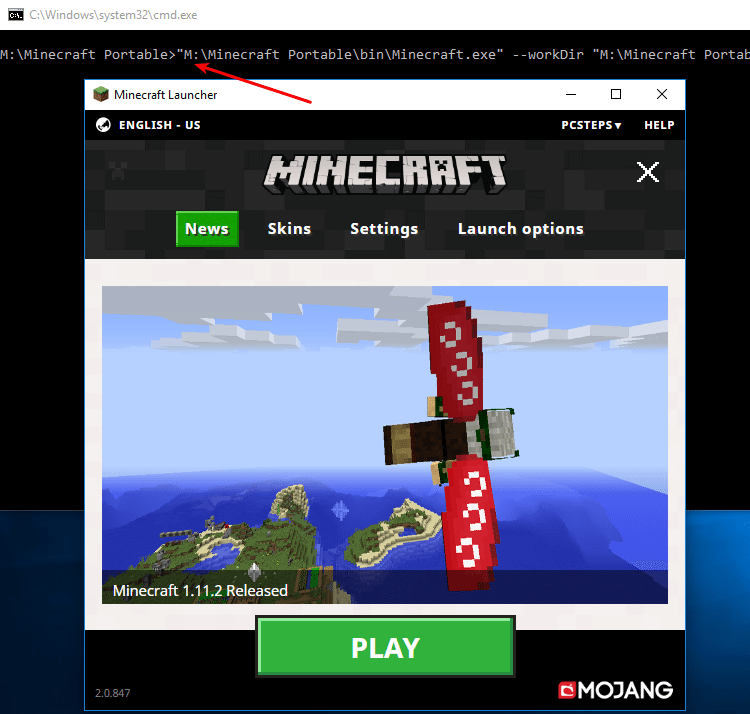 The first time we add the flash on another version of Windows than the one we created it, Minecraft will again need internet access to download a new runtime. After that, we are good to go. 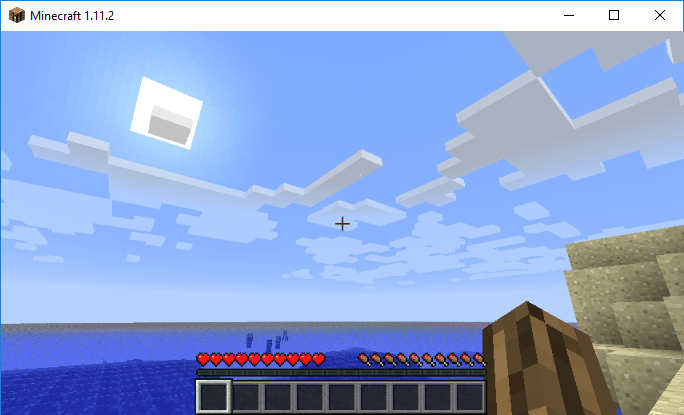 Portable Minecraft will not need internet access again to run on Windows 7, and it will still run on Windows 10. We will also find all of our saved worlds, as we left them. The most important lesson from the portable Minecraft project is that everything we do in the game resides in this single .minecraft folder. This makes it exceptionally easy to create a full backup. Just make a copy the .minecraft folder. 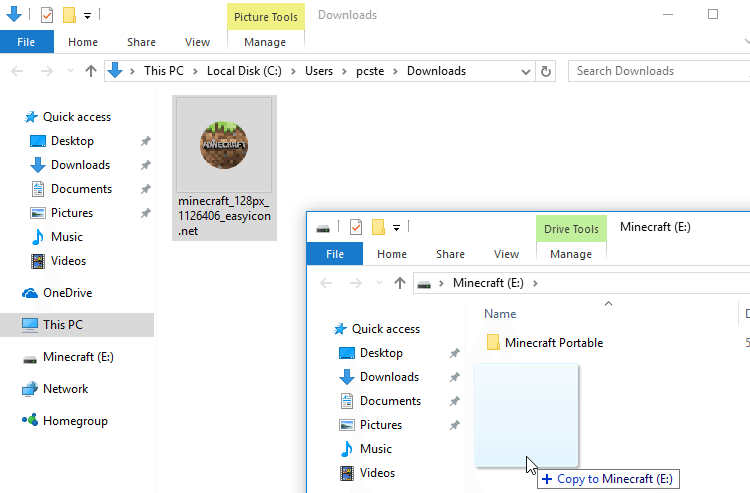 We can also copy the entire "Minecraft Portable" folder from the USB stick to anywhere on the disk, and we can run Minecraft from there, using the batch file. Now it's easier than ever to try new mods without risking our main game or take Minecraft with us at a friend's house, for LAN multiplayer. This is purely aesthetical, and it won't make the slightest difference in the game. 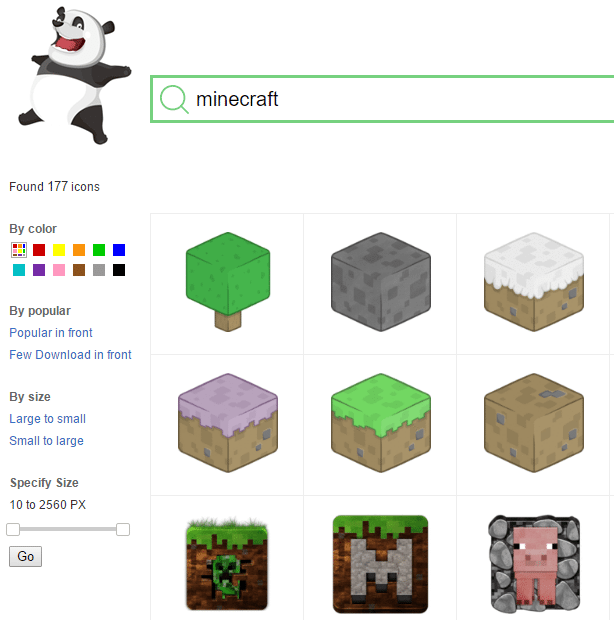 Wouldn't it be cool, though, if the USB thumb drive had a Minecraft inspired icon? We just need to find such an icon on the Internet. 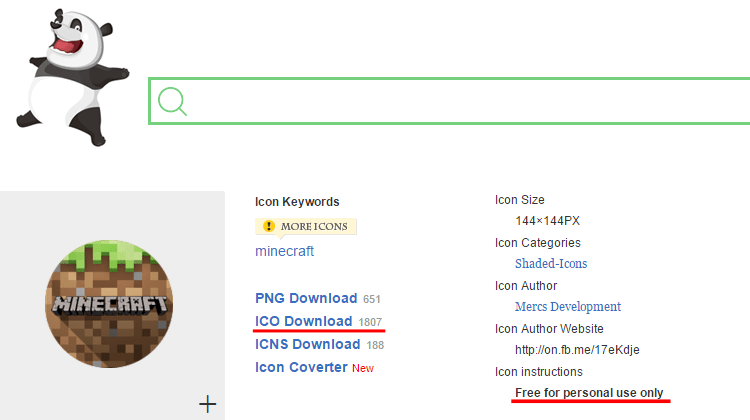 A good place to search is Easyicon.net. We select one we like and download it as a .ico file. Most icons are free for personal use. 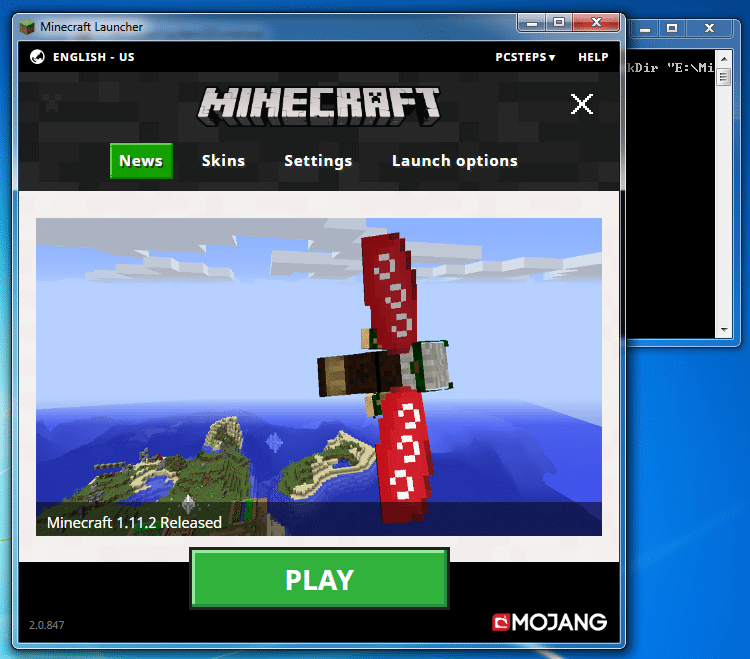 ...and rename it to minecraft (minecraft.ico if you can see the extensions on your system). ...and save it as autorun.inf at the root of the USB drive, with the "All Files" type selected. Next time we insert the USB, we will get a cool Minecraft icon. Mind you, though, that some antivirus suites delete the autorun.inf within a USB on sight, because it is a file that a lot of USB-borne malware use. If you found the portable Minecraft project interesting and would like to see more Minecraft-themed guides on PCsteps, leave us a comment.